IMO STATE – Loyalists of the Senator Ahmed Makarfi-led faction of the Peoples Democratic Party, PDP, said they would decamp en masse to another political platform, if Senator Ali Modu Sheriff wins the legal contest at the Supreme Court. Former Deputy Speaker, House of Representatives and a strong ally of Makarfi, Chief Emeka Ihedioha, disclosed this, yesterday, while addressing party stakeholders at Obiri Ehinkirinki Hall, Okpala in Ngor Okpala local council area of Imo State. “Let me tell you in clear terms that if Ali Modu Sheriff wins the legal battle at the Supreme Court, there is a ready political platform waiting for us. 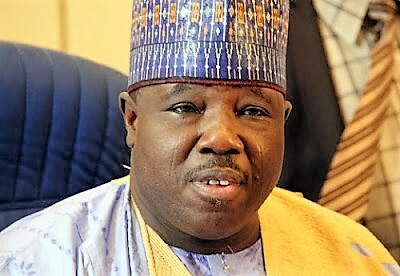 We will decamp en masse to the party and abandon PDP for Sheriff,” Ihedioha said. While saying that ward chairmen, secretaries, women and youth leaders were expected at the meeting, the former Deputy Speaker equally disclosed that they would chart the way forward for the party. “It is our desire to return power to the masses, in line with the PDP slogan of power belongs to the people,” Ihedioha said. Explaining the reason for his visit to the area, Ihedioha said it was a fence mending mission. “I am here for reconciliation. I have forgiven those that offended me and I expect those that I inadvertently offended to forgive and forget,” Ihedioha said.